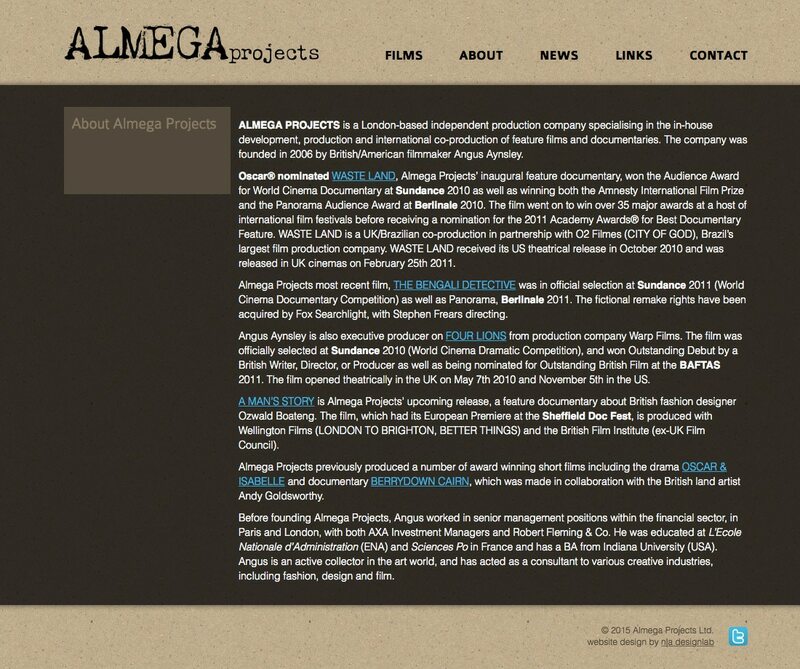 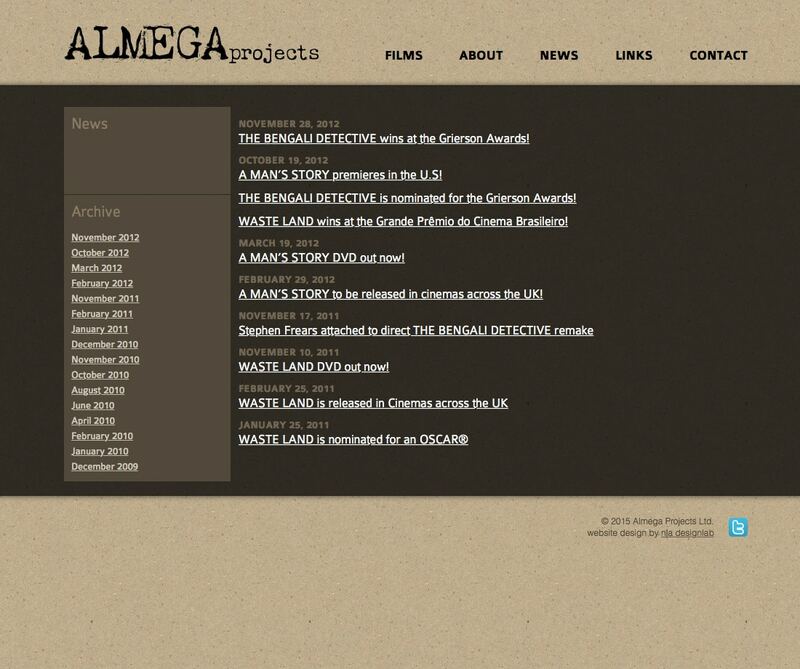 Almega Projects is a London-based independent production company specializing in the in-house development, production, and international co-production of feature films and documentaries. 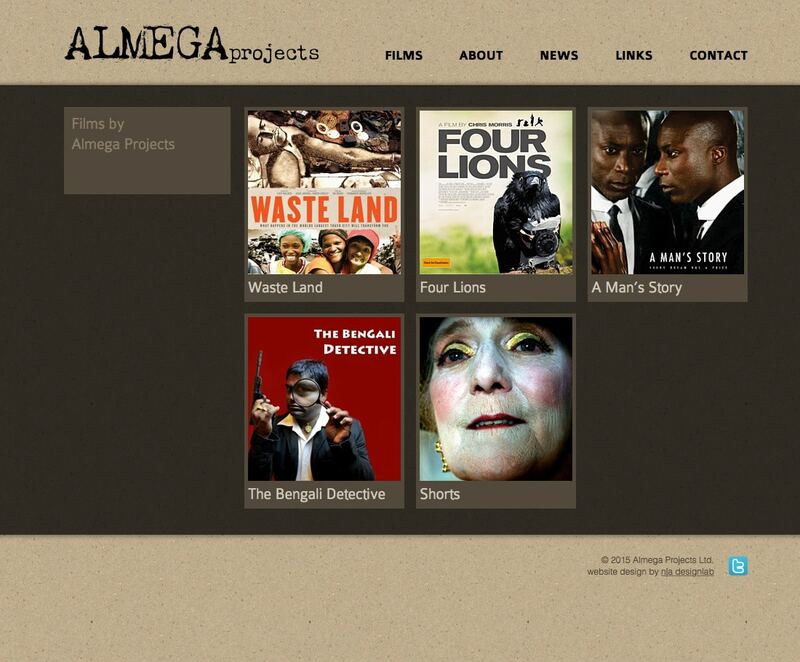 There site was designed to integrate with Almega’s established branding and identity. 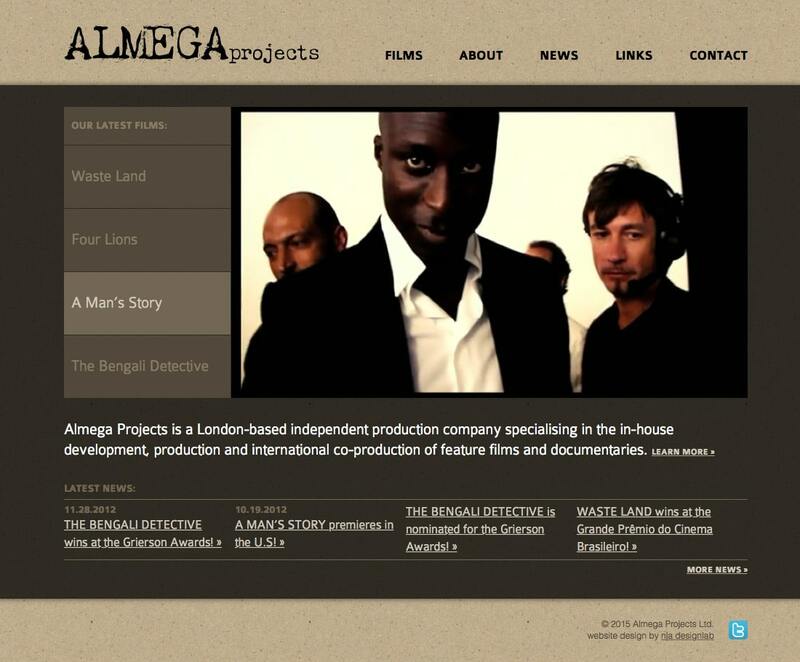 The site was built using WordPress as the content management system, allowing Almega to make updates quickly and easily.